Projects such as quilting, home decor and crafts require specialty stitches. 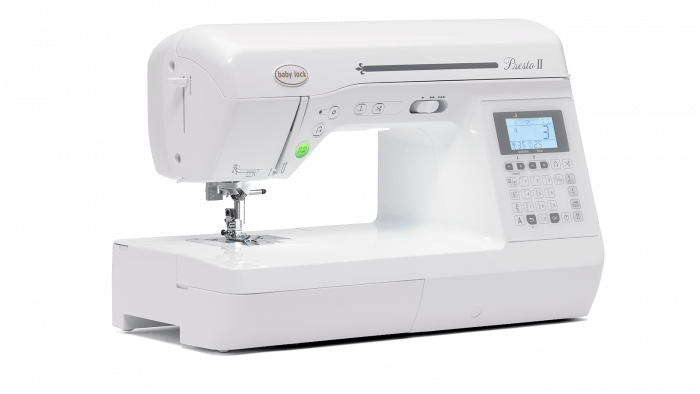 This machine includes 100 built-in stitches that are perfect for the projects you choose to create. Plus, at 850 stitches per minute, you’ll be on to your next project in no time! Trim thread with the touch of a button. Keep your hands on the project and start sewing elsewhere immediately with a clean, frustration-free trim. 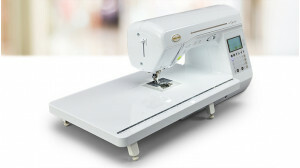 Instantly create a larger sewing surface with this extension table. The table's convenient design stores your knee lift underneath.